I bought a WMV file from Amazon, and plan to watch the WMV (Hamilton: I nationens interesse) movies on my HD through USB stick. I have copied the file to the stick and placed it into a folder. But the TV can’t read WMV files. An error message appears that says this is not supported. Who can tell me how to play WMV movies on TV? Your TV can’t play WMV movies? Please don’t worry about this. Just simple three steps, you’ll watch WMV movies on all TVs (HD TV, Smart TV, LED TV, LCD TV). Most TV can’t play WMV format file, let alone the Amazon WMV videos. Amazon movies were protected by DRM. You can’t play it on anything device without authorization. Ok, let me share a TV WMV solution with you. Solution: Convert WMV to TV supported video format- MP4. Guide: How to watch WMV movies on TV through a USB stick? Step 1: Run Video Converter Ultimate for TV, add WMV files into this program by click “Add Files”. Step 2: Click “Output format” column to choose “Format > HD > MP4”. This is the best video format for TV. You will get a 1080P movies. Step 3: Click “Convert” button to start WMV to TV conversion. When the conversion is done, click “Open Folder” to find the converted WMV files. Now connect the USB stick to your computer and copy generated MP4 video to USB Flash Disk. Now, you can watch 1080p movies on a USB flash drive on TV. 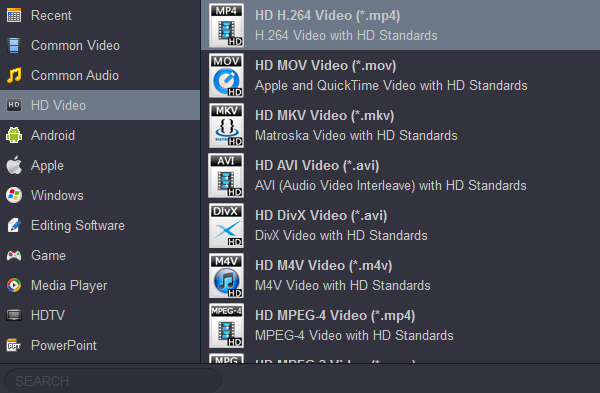 Tip: This TV WMV Converter = Video Converter + DVD Ripper + Blu-ray Ripper. 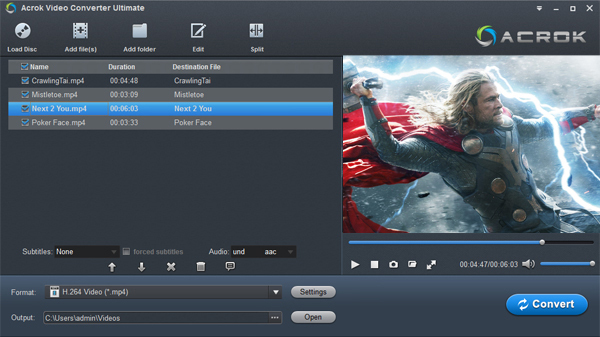 If you want to know how to use this Ultimate Video Converter, you can read this tutorial. How to watch 3D WMV on TV? You can read this guide: Watch 3D movies on 3D TV.